Join Fr. 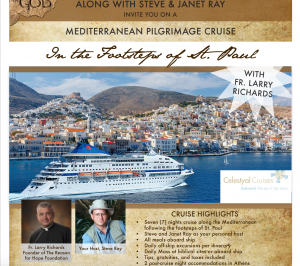 Larry Richards and Steve Ray for our Seminar at Sea in the Footprints of St. Paul, St. John and Mary on a Mediterranean cruise. 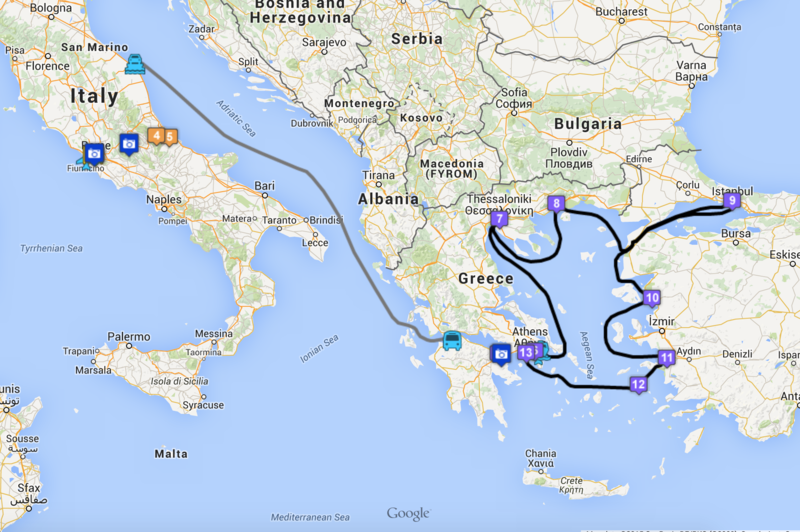 We voyage through Rome, Italy, Corinth, Athens, Thessaloniki, Philippi, Istanbul, Pergamum, Ephesus and Patmos. 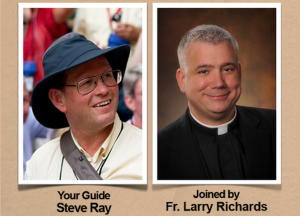 To see videos of our past St. Paul Cruises, click HERE. 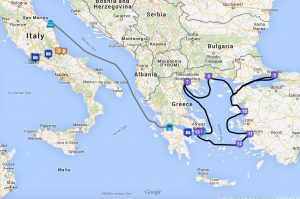 See itinerary and brochure HERE.